I hope today finds you well. I think I can officially say I am ready for Christmas. My brother got home last night - it's so fun to see him with the boys. (They sure do love their Uncle AJ!) So we will have a house full Christmas day...and a blessing it will be! We have a few NEW things in, so let's get down to business! 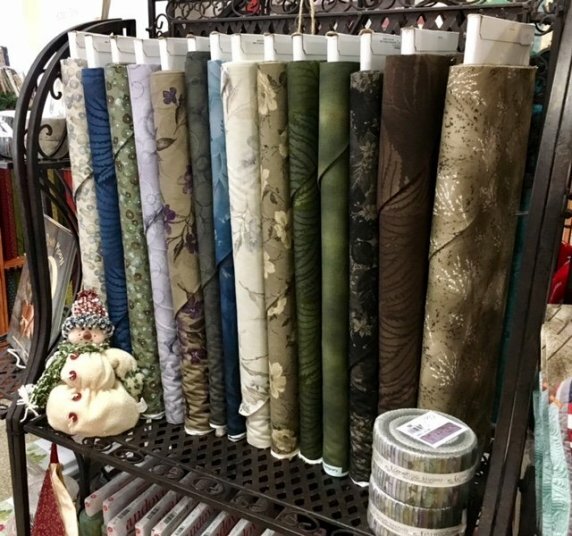 A NEW gorgeous line from Andover has arrived called Serenity. 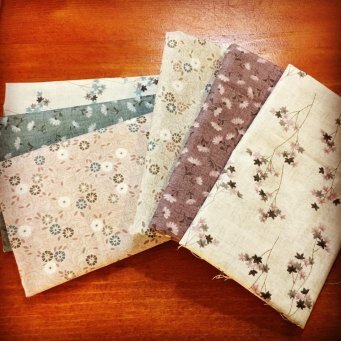 The beauty of this fabric will calm the soul! Check it out! It also pairs perfectly with our Spotlight Item this month! The NEWEST from BLOCK magazine has arrived - Early Winter Volume 3 Issue 6. Featuring 10 cozy quilts to snuggle up with, you won't want to miss this issue! I've got my eye on a darling baby quilt inside! It's not too late to finish that Christmas gifting list! 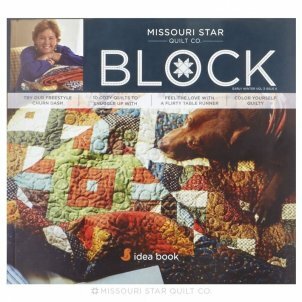 Looking for stocking stuffers or gift ideas for your quilting friends? Check out our variety of notions & our onsie bucket! We've just added some new items at great prices! Don't forget we do gift certificates! Let us help you shop this Christmas season! 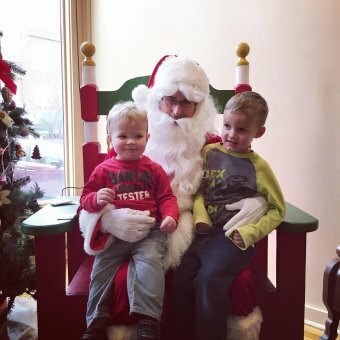 The boys went to see Santa last weekend. Colton jabbered on to him about who knows what! I think he said "Sorry, Santa I broke the ornaments but it was my brother's fault." Grayson asked for a new BIG blue monster truck! We would like to wish you all a Merry Christmas and a very Blessed New Year! We couldn't do what we do without you and are so thankful!